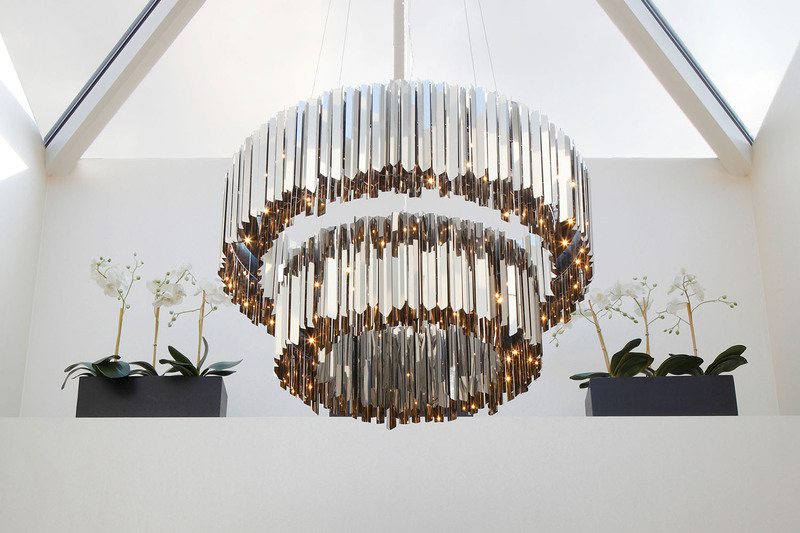 A two-tier, stainless steel Facet Chandelier was used in this double height landing area. Custom made to suspend from a glazed rooflight, the chandelier is the main source of illumination in the space. MaterialsPolished stainless steel, acrylic and aluminium.